Certified IT Architect Specialist (CITA-S) is an architect that has reached a degree of skill necessary to deal with the vast majority of architecture opportunities. They have taken the learning from associate and transferred that into knowledge through practical application. They have worked with mentors to achieve a significant level of sophistication within their specialization. A minimum of 5 years in the industry as a practicing architect. Completion of the CITA-S documentation set. 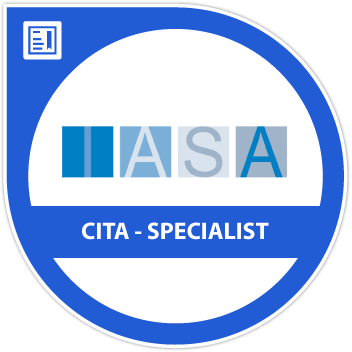 The CITA-S credential is achieved by passing a one hour board of your peers who have obtained the CITA-S level or higher already.